I’m getting off the point. I read a chunk of licensed fiction in 2014 and most of it was really good. 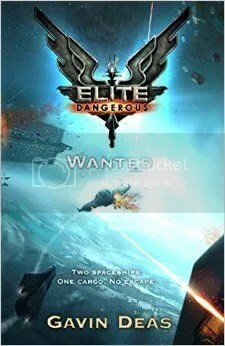 The three Elite: Dangerous tie in novels Gollancz put out, written by Gideon Defoe, Gavin Deas and Simon Spurrier respectively, were some of the very best and also, most interesting. Docking is is Difficult by Gideon Defoe is the shortest, and most sweet natured of the three novellas. It’s set on and near Gippsworld, a barely functional colony that’s home to a mayor with boundless optimism, a very large abandoned mineshaft and a small group of methane farmers and pig farmers who hate each other only slightly more than the world they live on. Unsurprisingly, Misha Bulgakov (Jr) has plans beyond simply working his father’s pig farm. Equally unsurprising, local police officer Phoebe Clag has despaired of ever having anything to actually do. Then Cliff Ganymede, motivational speaker extraordinaire and Misha’s idol kills himself. Possibly with assistance. Then, suddenly Gippsworld becomes a hub for discovered art and the lost colony of mud, methane and pig hatred becomes a cultural centre. But why? And how is that connected to Cliff? And also will Misha ever actually work up the courage to tell Phoebe how he feels about her? Defoe’s best known for the Pirates! Series and his sense of humour maps onto the E:D universe perfectly. The setting is especially great as, while Gippsworld is a backwater, it’s also refreshingly normal, even the stuff with the big hole and the methane farming. Misa is Luke Skywalker without the heroic destiny; a gentle, well meaning, sort of idle young man who wants SOMETHING to happen but doesn’t quite have the gumption to do it himself. He’s the perfect foil for the sensible, pragmatic, overly cautious Phoebe too and the double act the pair have is charming from the get go. Defoe’s book is at its best when it follows the pair of them trying to live up to what they think they should be. The ending, unfortunately, doesn’t quite work. The introduction of Gollancz itself as a power in the E:D universe plays as overly cute and self-referential and there are a couple of beats in the ending that are gutsy choices that play a little more mean spirited than seems intentional. The book’s still huge fun, and Misha and Phoebe are lovely, but landing, as well as docking, proves a little difficult. Wanted by Gavin Deas takes an entirely different approach and, in doing so, proves just how versatile this universe is. The plot echoes Heat and classic westerns coupled with hard vacuum noir. Ravindra, the captain of the Song of Stone, is a trader who does a little piracy on the side. She’s fast, efficient, doesn’t kill unless she has to and works with an eye to ensuring her 17 year old son doesn’t have to choose the life she did. Ravindra, captain of The Dragon Queen, is a workaholic bounty hunter who wants to settle down with her wife and daughter but doesn’t know how. Both women are constantly driven out into the void by their own compulsions and neither have any idea whether it’s their better, or worse angels feeding them the targeting coordinates. There are three things that really work here; the tone, the characters and the refusal to back down. Wanted is worlds away from Docking is Difficult but still feels like part of the same universe. That’s partly down to the subtle connective tissue the three books share but mostly it’s because Ravindra and Ziva are what Misha desperately wants to be; a hard hearted, brutally efficient space mercenary. 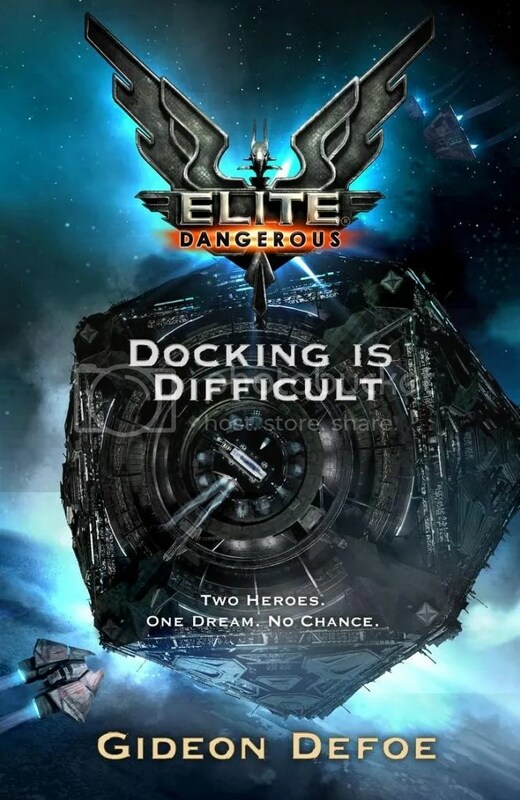 Read in sequence like this, Wanted provides welcome context for Docking is Dangerous. Misha and Phoebe may think they want excitement but Wanted shows just how long they’d survive. Then there’s Ravindra and Ziva who are, however you look at them, revolutionary. Both are physical, capable leads. Both have internal character arcs. Both have dependents and plots outside the central one that define them. Both are women. Neither is Caucasian. One of them isn’t heterosexual. None of that is played as sensationalistic. Characters like that are still rare in mainstream genre fiction. Seeing them turn up in licensed fiction, and be written so well is unprecedented. It’s made all the more so by Deas’ refusal to back down in the slightest. This is the bleakest of the three books and the closing action sequence embodies everything that works, and doesn’t, about that. The setup is glorious; a cat and mouse duel around a horrifically unstable star between the employer Ravindra inadvertently let down and her, with Ziva as a wild card. This is classic Hunt for Red October in space stuff and anyone looking for crunchy action is going to find it by the ton here. The one downside is that the ending, which is inevitable from around halfway in, also feels a little more like an exercise in style than a conclusion. It’s still insanely gutsy but this is the one target the book shoots at but doesn’t quite hit. Nemorensis by Simon Spurrier changes the game once again. Instead of Docking’s sweet natured comedy or Wanted’s hard vacuum noir, Spurrier opts for pedal to the medal, Bonnie and Clyde meets 2000AD in space. The book grabs your hand and sprints headlong for the finish from page one, alternately punching and frantically making out with whoever happens to be in the way. Spurrier’s gorgeous, chewy language spins and whirls with the same chaotic grace as Tee and Myq, his two leads but shares something far more important with third lead, SixJen; ruthless focus. Myq, a former boyband member and Tee, an escaped slave are rolling explosions of hormone, joy and brutality while SixJen is a focused, cold observer throughout. She’s the control in this book, the figure who stands in for us and the structure that, ultimately, Myq and Tee have to conform to. Combined with Myq’s growing unease at what they’re doing and is being done to him, SixJen gradually shifts the book’s tone from joyful violence to calm, intensely disturbing answers. This is the book that has the most under the hood and Spurrier reels it all out to you with the subtlety and intelligence his work is justifiably known for. He even finds a way to combine all three viewpoints in an ending that’s definitive, open, hopeless and joyous all at once. All three of these books are licensed fiction but none of them feel imprisoned by that license. 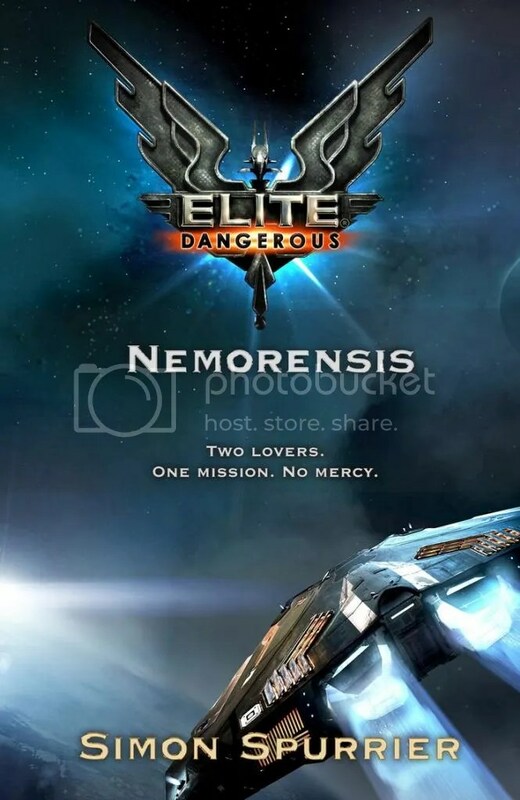 A comedy, a space noir and an amazingly violent romance they sit together surprisingly well under the large, winged umbrella of Elite: Dangerous. While each has flaws, each also pushes the envelope of what you’d expect them to do. For a field that’s usually the definition of safe that’s both remarkable and immensely heartening. These aren’t just good tie ins, they’re good, standalone stories that, much like the pilots they focus on, have fought for, and earned, their spot.